Hoping your Christmas was wonderful, full of family, friends and good things to eat. The older I get, the years seem to go faster. Is that happening to you also? Today is my last post as a Design Team member at Die-Versions. I have used the new Amour Doily on this card and I am in LOVE with it. I then rolled it through my Grand Calibur using a PaperTrey Impression Plate. 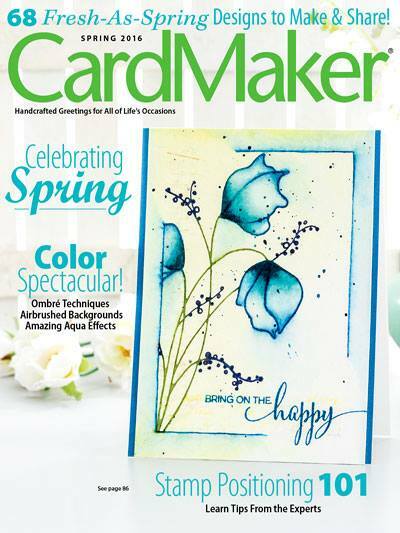 I have had such a fun time designing for this great die cut company. I spy Roses with pink, red and green. I have recently started using embroidery thread on my creations and I love the extra texture without the added weight to the card. 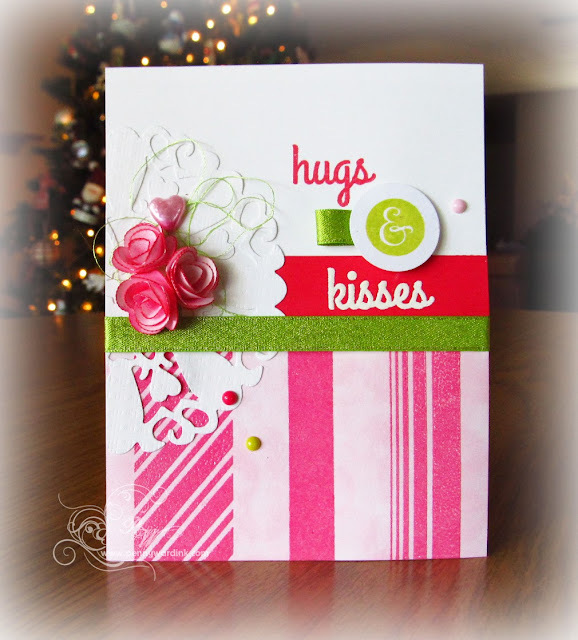 I inked the bottom portion of the card with Memento Angel Pink (Imagine Crafts/Tsukineko), then stamped over that with So Stripy (Reverse Confetti) using Memento Luxe Rose Bud (Imagine Crafts/Tsukineko) and heat set with clear embossing powder. Rolled Roses are cut with my Silhouette Cameo. Sentiment is: I like You (Reverse Confetti). Enamel dots and Heart pin (My Mind's Eye). I would like to recognize the new followers of this blog as I will not have a new post on Friday. Pink and green always makes me smile, and with your beautiful roses and doily, I think this is a winner! Beautifully done, Penny! what a pretty card. love the stripes along the bottom. thanks for playing with us at Reverse Confetti. 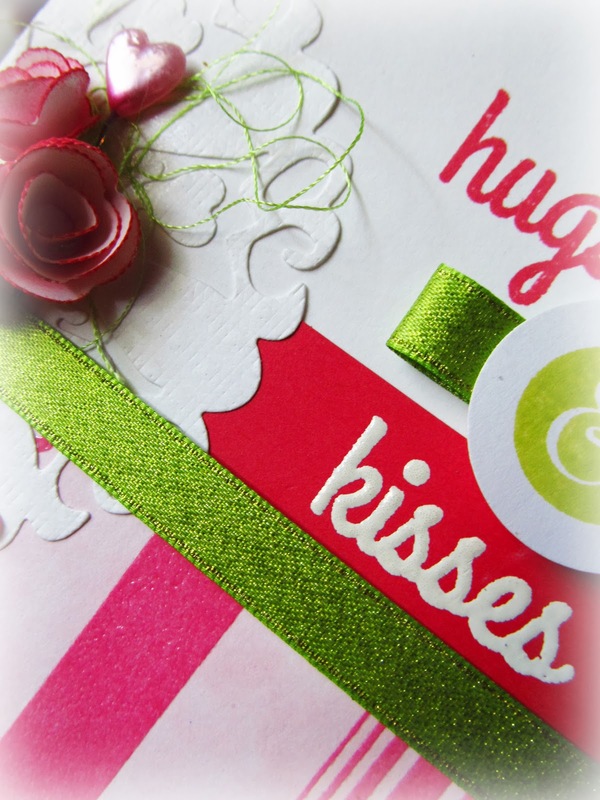 Love the colors & so much interest with all your elements--great card, Penny! LOVE this card! Gorgeous, bright colours and love all the different elements. I wanted to make my comment on ur latest post where u posted ur 2013 collection but didn't find comment button....so left little love here.